Liver is using Smore newsletters to spread the word online. She is 15 feet long. The humps look like overturned boats. She has a long neack. Has 2 cone like ears. Has a snake like body. There are vidos of Her. 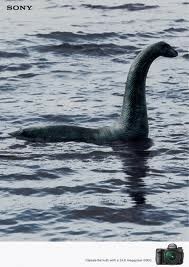 Nessie lives in the loch-ness lake in scotland.